Bridge-the-gap alimony – intended to help make the transition from being married to being single. It’s paid for a maximum of two years. Rehabilitative alimony – pays for education, training and other assistance to enable a person to become self-supporting, and requires a defined, specific plan, which must be followed. Durational alimony – awarded for a set period of time following marriages of short or moderate duration or a marriage of long duration if there is no ongoing need for permanent support. But it’s not awarded for a period longer than the marriage lasted. 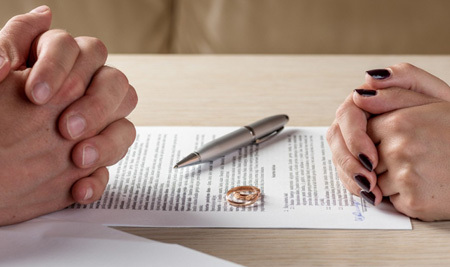 Permanent alimony – awarded when a party lacks the financial ability to meet his or her needs following dissolution of the marriage and the court finds that no other form is fair and reasonable. When awarding alimony, the Court is required to consider a set of several factors. These factors include – but are not limited to – the length of the marriage, the standard of living developed during the marriage, the age and physical condition of each party and the financial resources of the parties. The Court has wide discretion when making the determination of how much alimony to award. If you are considering a divorce, or think you may become involved in one, see a qualified family law attorney to gain an understanding of you obligations – and your rights. Call Zweben Law Group today to schedule your free consultation.